It looks like there could be more in the works, too. Players reported receiving unreleased legendary skins for the L-STAR before the Apex Legends servers were shut down today. It looks like Respawn Entertainment has inadvertently released two new skins and has immediately tried to cover its tracks. The community, including the Apex subreddit, have already feasted their eyes on the Apex Hyperdrive and the Alien Invasion skin, however. The new skins look like a step in the right direction for the game. 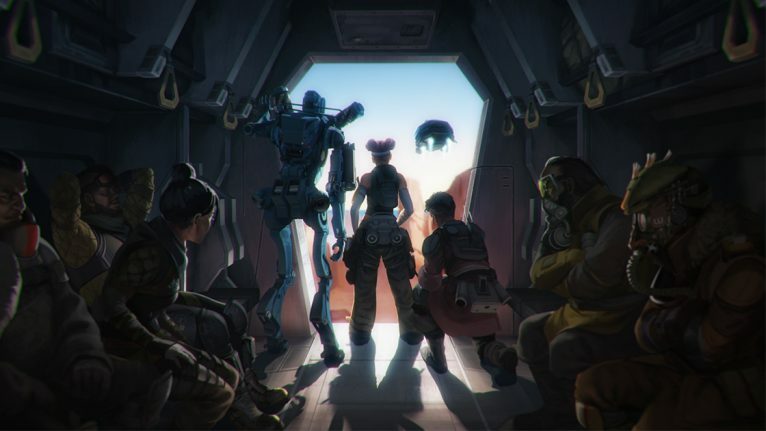 After the release of season one, Respawn received scrutiny for its lack of content in its battle pass. It’s not confirmed if the skins are scheduled to officially release on the servers, but it looks like the two new additions are due shortly. It’s unlikely that Respawn would release two legendary skins for the L-STAR alone. There’s a good chance when the Apex Hyperdrive and the Alien Invasion skin are unveiled, a series of other new skins will come with it. According to dataminers, new guns, skins, and a new legend are in development and should be released to the servers this season. If this is the case, there’s a possibility that lots more content will be coming soon. The new legendary skins could just be scraping the surface.